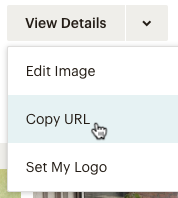 If you've coded your own template with Mailchimp's template language or coded an HTML file that you imported to create a template, you can edit the template's code directly in your account. In this article, you'll learn where to access your template's HTML code within the Templates section of your account, and how to add images to your custom template from the Content Manager. To edit your custom template, follow these steps. Navigate to the Templates page. Browse the template list or search or the template you want to edit. Click Edit for the Code your own template you want to work with. 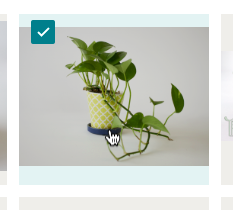 From this screen, you can edit the template using Mailchimp's visual designer tools or click the Edit Code button to work directly in the template's HTML. After you're done, click Save in the lower-left corner. Click Save and Exit in the lower-right corner of the Template Builder screen. Changes made to a Code your own template will appear in any draft or scheduled campaigns that use the template. Before making edits to a Code your own template, make sure there aren't any draft or scheduled campaigns that could be negatively affected by your changes. The Edit Code button is only accessible in the Template Builder. To edit the code for a template you saved from the Campaign Builder, export the template and then import it back into your account as a Code your own template. Note that you won't be able to add, edit, or remove any of the drag-and-drop blocks in the imported version. The Content Manager keeps your files handy when you're coding your own templates. You can copy a file's source URL to your clipboard and quickly insert it into your code. To copy your file’s source URL, follow these steps. Navigate to the Template Builder and open the template you want to work with. Click Content Manager in the Edit Code pane. Click the file you want to link in your code. Click the drop-down menu next to View Details, and choose Copy URL. You’ll see an alert that confirms the source URL has been copied to your clipboard. Place your cursor in the Edit Code pane where you want to put the source URL and paste it in. With Mailchimp, you can import, reuse, and share your custom HTML templates. Learn how to import ZIP or HTML files. With Mailchimp's template language, you can create content areas that are editable in the Campaign Builder. Get tips for creating editable spaces. Mailchimp's template language lets you create editable styles. Learn how to set CSS areas and style declarations for your template.